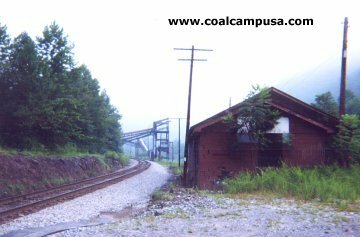 This is a mining camp along the banks of the Guyandotte River in western Wyoming County. 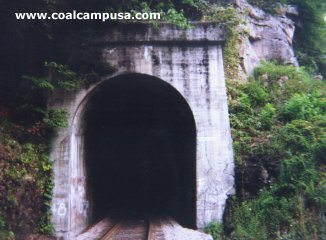 Marianna Smokeless Coal Co. opened the Sewell seam Marianna mine in 1940, making this one of the last coal camps in West Virginia to be constructed. The June 20, 1940 issue of Charleston Daily Mail announced that Pond Creek Pocahontas coal Co. (Marianna Smokeless's parent company) "acquires 6,000 acres of land," although it was probably a lease. 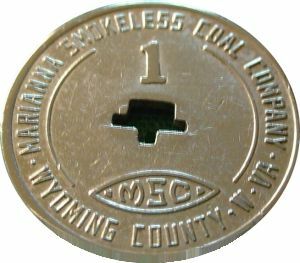 The article also states that sales would be handled through Island Creek Coal Co., and later Marianna was outright owned by Island Creek Coal Co. 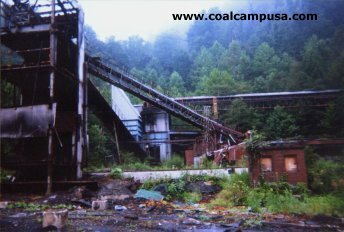 In the mid-1960's, the nearby Douglas prep plant of Robinson-Phillips Coal Co. was removed for the construction of R.D. Bailey Lake. This caused Robinson-Phillips to re-locate to Marianna. 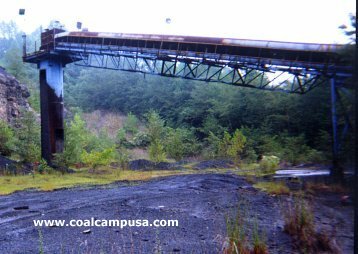 My guess is that the original 6,000 acre Marianna lease was worked out by then, the Marianna plant was dormant, and Robinson-Phillips upgraded the coal preparation complex and moved in. (Being built in 1940, it was most likely a steel prep plant and not wood-framed tipple, and thus could be upgraded.) 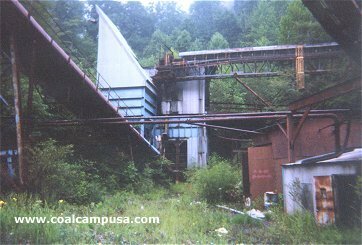 At this point it would have been a truck dump plant for the various Robinson-Phillips mines in the area. 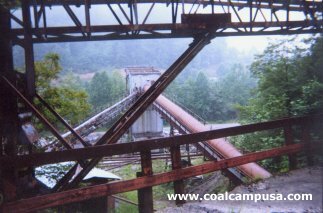 These operations probably ended in the 1980's or 90's, apparently leaving several Wilcox continous miners inside. 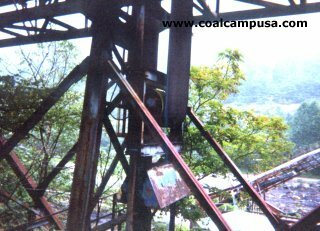 But in the 21st Century Alpha has opened a new mine and prep plant at Marianna, still in the Sewell seam, starting a new chapter on coal mining in that area. 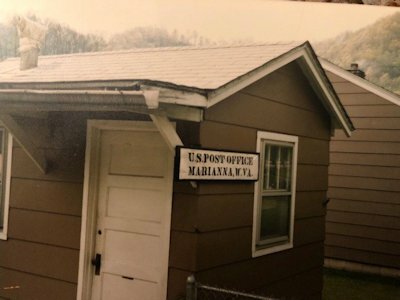 Greg Mitchell writes, "Here are some pictures I recently found of the post office in Marianna, WV. 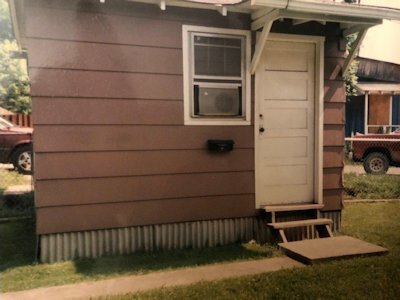 It was built by my grandfather, Paul Mitchell, in the yard of his home. It sat just beside the road in “ lower camp “ Marianna, as soon as you turned into the camp. My grandmother, Geneva “Sally” Mitchell, was the post master from 1971 until 1994. 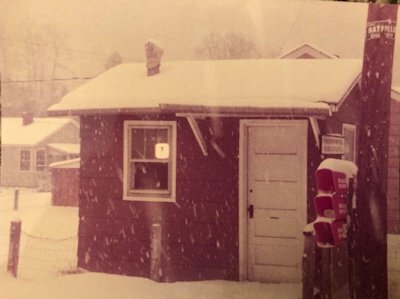 In 1994, the post office was closed, and my father and I demolished the building some time in the mid 2000’s due to it falling into disrepair." 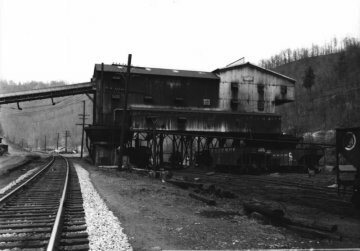 In 1950 Oragnized Labor was at its height in America, especially in the Central Appalachian Coalfields. A February 3, 1950 Pittsburgh Press news item stated, "A miner was wounded today by a shot fired from a band of 100 union pickets attempting to close down a mine near here in the first outbreak of violence in Wyoming County in the current strike, police reported today. 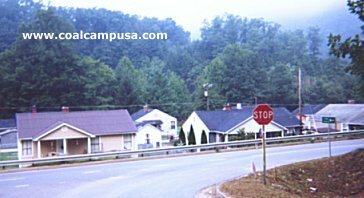 The victim was identified as Robert Cook [a common surname in central Wyoming County], 23, who was wounded in the wrist. Several other shots were fired by the pickets led by Harry T. Gibson, field representative for United Mine Workers District 29, according to Wyoming Sherrif John Miller. 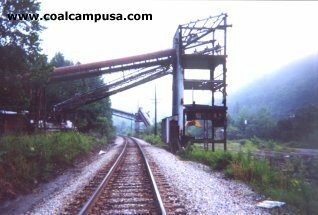 Sherrif Miller served Gibson with a Circuit Court injunction forbidding unlawful restraint of operations at the Marianna Smokeless Coal Co. where the shooting occured."